Do you think Bidens has only yellow color? 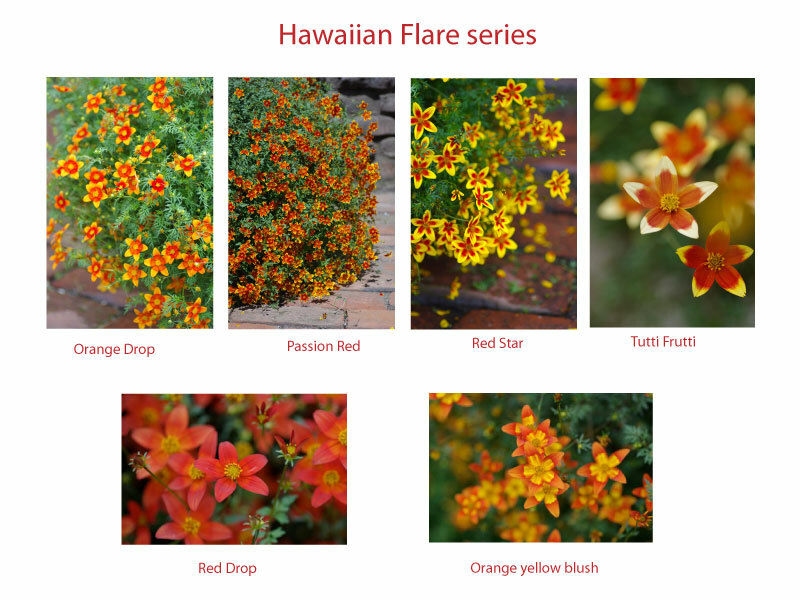 Bidens “Hawaiian Flare” is the first Red Bidens in the world. We had already released Vigorous series and Tiny series. We are adding new series and new colors every year, it is very exciting! 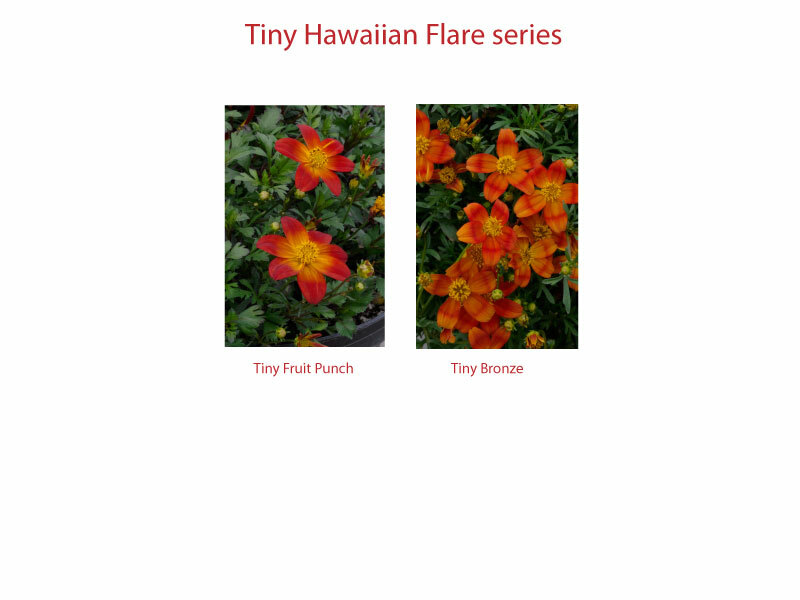 Bidens “Hawaiian Flares” have to be planted in full sun. Bidens “Hawaiian Flares” are, of course, excellent in mixed containers, hanging basket and gardens.